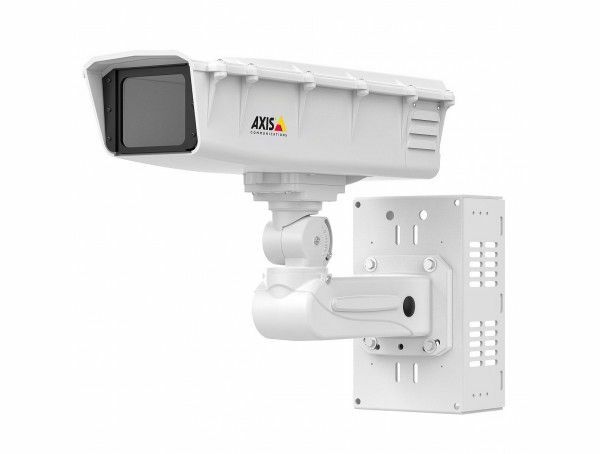 Outdoor camera housing for Axis cameras with EF lenses (e.g. 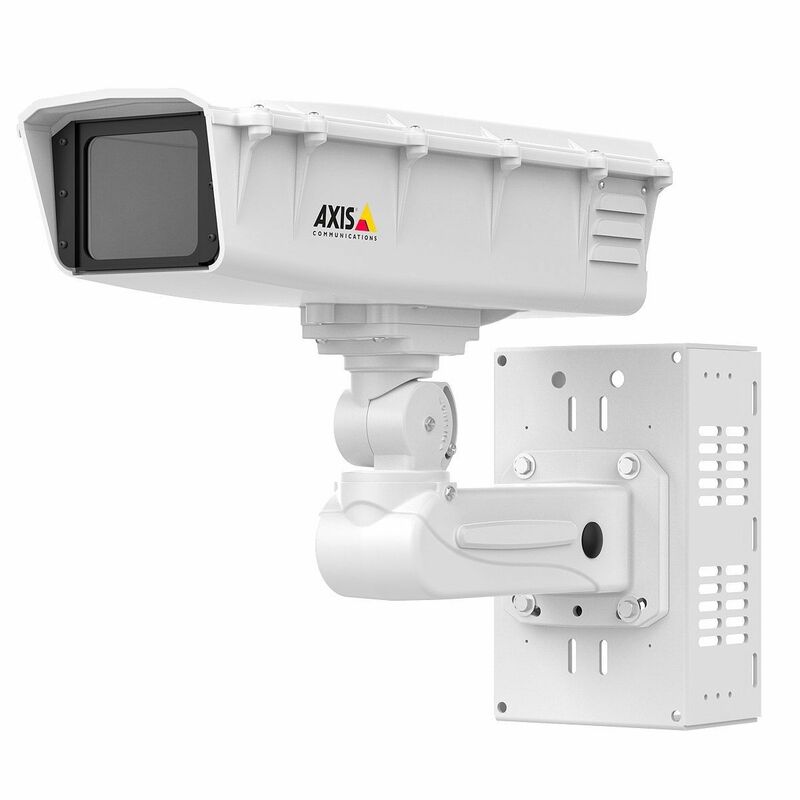 : AXIS Q1659). Made of IK10 impact resistant thermoplastic with dual-layer UV protection. IP66, NEMA 4X rated and UL listed. Powered by 24 VDC (power supply not included). Heavy duty wall mount included.